We had a shorter than normal Coffee in the Park this morning. Most of those at Parkside were heading over to Wokingham for the wedding celebration party of two of those who meet with us in Maidenhead. 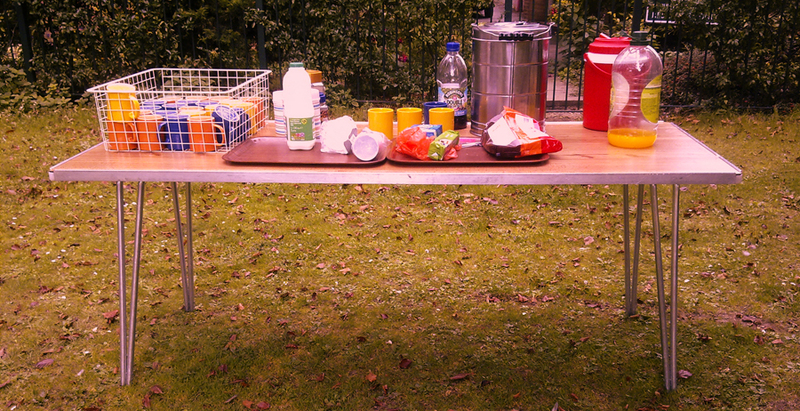 This meant that we did without the usual marquee and made do with a few tables in the park instead. The weather was somewhat chilly and there were few people out and about in the park. This was our final outing into Kidwells Park this season after only three Coffee in the Parks this summer.